Screenwriter William Goldstein IN PERSON, schedule permitting, to discuss! 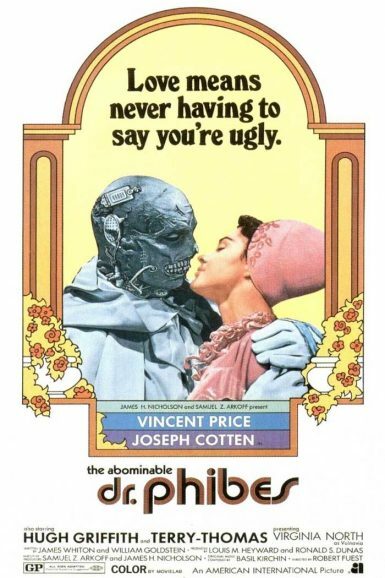 JUST ADDED: The Abominable Dr. Phibes screenwriter William Goldstein will join us IN PERSON, schedule permitting, at our Saturday, April 22, show for a Q&A following his film, moderated by Justin Humphreys (author of an upcoming book on the Phibes films). A gruesomely humorous mix of sardonic wit, high camp horror and stunning Art Deco design, The Abominable Dr. Phibes towers as one of filmdom’s greatest terror fantasies. In a signature role, Vincent Price stars as a diabolical doc / demented organ player knocking off the men he holds responsible for his wife’s death. As the mad doctor unleashes bees, bats, frogs and other biblical plagues against his victims, he proves that revenge is often the best medicine. View a collection of lobby cards for The Abominable Dr. Phibes on the New Beverly forum. Ariel Schudson discusses The Abominable Dr. Phibes on the New Beverly blog. Vampires! Voodoo! Vixens! Victims! Terror waits for you in every horrific room in this macabre anthology from Robert Bloch, the author of Psycho, and the UK’s titans of fright, Amicus Productions. Scotland Yard investigates the ghastly fates of the unlucky tenants in The House That Dripped Blood: a novelist tormented by the mad strangler from his newest book, two old friends obsessed with a waxwork model resembling their long-lost love, a strange child and her overprotective father plus a famed actor whose new costume holds a mysterious power. Featuring a British dream team of Christopher Lee, Peter Cushing and Denholm Elliott plus Hammer Films fave Ingrid Pitt! 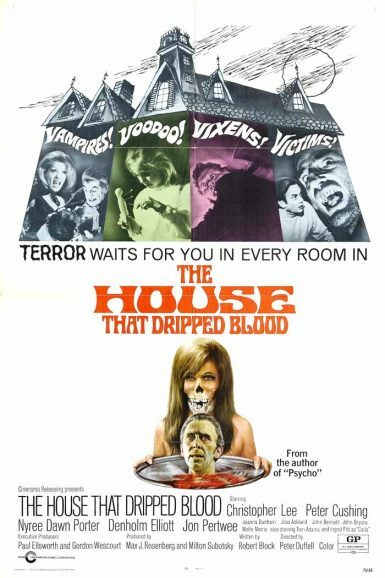 Marc Edward Heuck discusses Amicus Productions and The House That Dripped Blood on the New Beverly blog.